Charley Ellis is an investment consultant and writer, dubbed “the wisest man on Wall Street” by Money Magazine. His book, Winning the Loser’s Game, was lauded by Peter Drucker as “by far the best book on investment policy and management.” Charley founded Greenwich Associates, an international strategic consulting firm focused on financial institutions. He has chaired Yale University’s investment committee and served as Chairman of the Board of the Institute of Chartered Financial Analysts. Charley is a Non-Executive Director at Essentia Analytics. 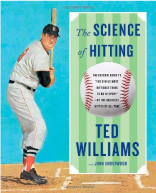 Ted Williams, gruff, aloof and taciturn, produced a great batting record over his 22 years of playing baseball, and wrote one of the best books on the sport, The Science of Hitting. Filled with insights gained from intensive study, every analyst and portfolio manager would benefit from reading this superb compilation of lessons learned and how they can be applied to investing. 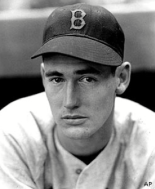 Ted Williams (1918-2002) was a professional baseball player for the Boston Red Sox. Six times American League batting champion, his career record would have been even better had he not been called to active duty in Korea in 1951-1952, the years in which – during the months he played ball – he averaged over .400. Expert investors know that hitting home runs in the stock market is hard. So many complex judgements must be just right: estimation of future earnings produced by the confluence of myriad factors inside and outside the company; changes in other investors’ perceptions and projections; and estimations of future market valuations. That’s why investors are unusually well-positioned to understand Ted Williams’ assertion about the difficulties of hitting in baseball. “Hitting a baseball – I’ve said it a thousand times – is the single most difficult thing to do in sport.” That statement commands attention, particularly among competitive people in the notoriously competitive and constantly measured field of investment management. First published in 1970 and then revised in 1986, The Science of Hitting is still widely read by novice and pro baseball players. Getting serious about getting better at hitting is not dissimilar to improving your skill as an investor. Williams explains: “Much of what I have to say about hitting is self-education. You, the hitter, are the greatest variable in this game of baseball. To know yourself takes dedication. That’s a hard thing to have. 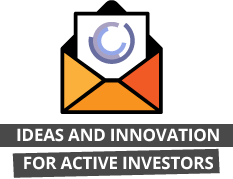 Today, ballplayers have a dozen distractions.” Every professional investor would agree with both points: we need to focus with dedication and we face too many distractions. Much of The Science of Hitting explains the “game theory” of interactions between pitchers and batters in different situations. But it is this area of what a hitter can do on his own to increase success that Williams offers his best insights: How many investment analysts and fund managers could up their own games by careful, objective study of their past decisions in search of imperfections to reduce or remove? As a serious student of hitting, Williams worked hard at figuring out exactly what did or did not work well. 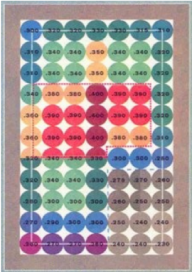 The traditional view in baseball had been that there was a single strike zone – an understanding which colored how players and their performance were assessed. Williams identified 77 different strike zones and a new approach for hitters to judge incoming pitches. Ted Williams was a very good batter. He made himself a great player by studying the game and, most of all, studying himself in unrelenting detail on every dimension. What a great lesson for anyone determined to excel – particularly in the major league of today’s professional investment management.